Complimenting our pool design and construction services, Lifestyle Concepts offers a comprehensive selection of pool service and maintenance products. Even if we didn't build your pool, we can service it. We install, service and repair all major brands of pumps, filters, heaters and water handling equipment. Whether you just need seasonal prep and opening or a complete overhaul of a neglected pool, we can get it back up and running properly for the season. Lifestyle Concepts offers many services - from the time we first visit your backyard to offer our consulting services until the time we close your pool for the first winter… and everything in between. 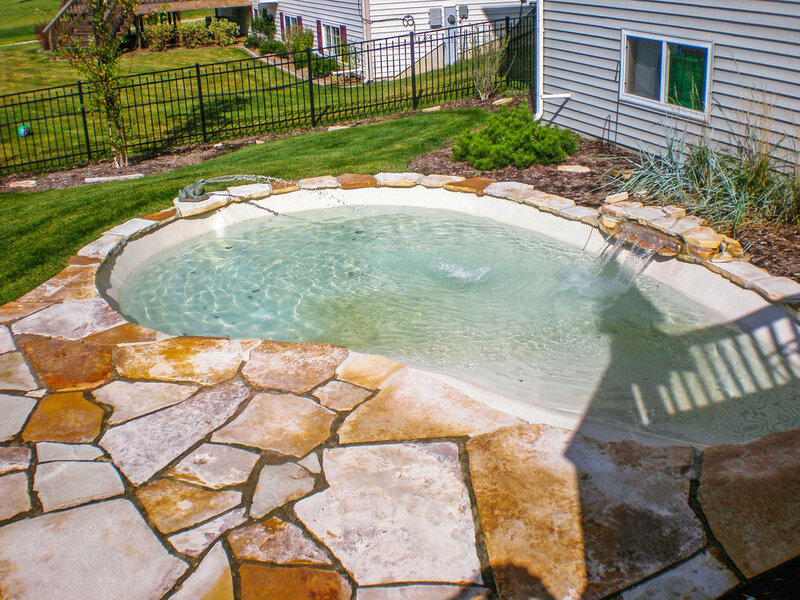 We are a full-service custom pool builder and offer everything that title implies. An important sector of our business involves helping our customers update their pool equipment. This could include such items as, pumps, filters, heaters, control systems, chlorine to salt water conversions and pool liner replacement. Lifestyle Concepts will be happy to advise you on the right equipment to economically replace and update any of these items. Your pool, like so many things, functions better with regular maintenance. Regular maintenance visits will keep your pool working at peak performance throughout the year. They also help uncover any potential problems, before they become serious, which will keep your pool healthy and open all season. We can handle all of your pool maintenance needs! Lifestyle Concepts, Inc. offers a variety of customized maintenance programs to keep your pool, and waterscape in excellent working condition. These are normally scheduled on a weekly or biweekly basis to check normal operating parameters of all pool equipment, or they can be customized to accommodate any particular customer requirements. When purchasing a new home with an existing pool. An inspection of the structure, plumbing, pool deck, and electrical by an expert is highly recommended. Lifestyle Concepts, Inc. will provide a written comprehensive assessment ensuring the homeowner that the pool is not only in good condition but meets proper code standards. Algonquin, Arlington Heights, Antioch, Addison, Barrington, Barrington Hills, Bloomingdale, Buffalo Grove, Burr Ridge, Bull Valley, Cary, Crystal Lake, Deerfield, Deer Park, Elk Grove, Elmhurst, Fox Lake, Grayslake, Gurnee, Glenwood, Hawthorn Woods, Hoffman Estates, Huntley, Inverness, Kildeer, Long Grove, Libertyville, Lincolnshire, Lakewood, Lake In The Hills, Lake Zurich, Lake Forest, Lombard, Lemont, McHenry, Mount Prospect, Mundelein, Northbrook, Naperville, North Barrington, Oak Brook, Palatine, Plainfield, Riverwoods, Rolling Meadows, South Barrington, St. Charles, Streamwood, Schaumburg, Sycamore, Trout Valley, Tower Lakes, Vernon Hills, Villa Park, Wheeling, Wauconda, Warrenville, Woodstock and more. Please explain further as to what needs servicing. For any specific service or maintenance requirement, including pool openings and closings, please contact the Service Manager, Scott Allen, at 847-833-6115 or Scott@LifestyleConceptsInc.com. Scott graduated in Biology and Chemistry from Illinois State University and is well qualified to assess your water quality issues, as well as your pool’s operational and maintenance requirements. Otherwise, contact us through our form and you’ll hear from us soon!